A look at how the 1961 feature sent Disney’s animation studio—and its record company—careening into the 1960’s with fresh techniques and lower budgets. Reissues: Disneyland DQ-1308 (1961); DisneyRama ST-4903 (with Pop-Up Book, 1963); Disneyland Storyteller ST-3934 (1965). Executive Producer/Story Adaptation: Jimmy Johnson. Producer/Musical Director: Camarata. Running Time: 24 minutes. Voices: Ginny Tyler (Rolly/Narrator); Betty Lou Gerson (Cruella De Vil, Nanny Cook); J. Pat O’Malley (Jasper, The Colonel, Labrador): Dal McKennon (Sgt. Tibs, Collie); Teri York (Vocals); Jimmy Macdonald (Announcer); The Mellomen: Bill Lee, Max Smith, Bob Stevens and Thurl Ravenscroft. 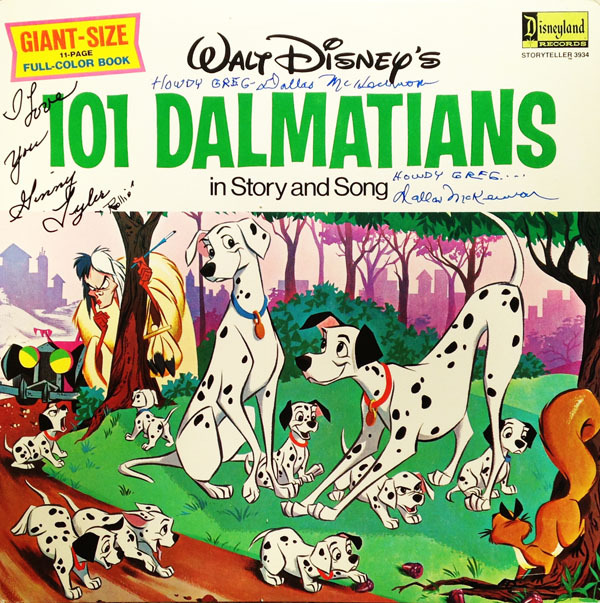 Songs: “Playful Melody” by George Bruns and William D. “By” Dunham; “Kanine Krunchies Kommercial”, “Cruella De Ville”, “Dalmatian Plantation” by Mel Leven. Considerable change was in the air as the first half of the 20th century gave way to the second at the Walt Disney Studios. Walt, at the time absorbed in the new challenges of Disneyland Park, television and live-action films, was ambivalent about the future of animated features. Sleeping Beauty had not met expectations and the genre had become prohibitively expensive. On a smaller, but no less notable scale, the new Disneyland /Buena Vista Records division was struggling to keep afloat, mostly sustained by Annette Funicello’s hit singles and albums. Back when hopes were high for Sleeping Beauty, fourteen different records had been released; only a few of those survived in the ensuing years. Disney record production, manufacturing and distribution were dramatically retooled. The feature soundtracks were changed from premium products, marketed to adults, to $1.98 albums designed for children. The “Storyteller” book and record series was stepped up and the push was on to increase the number of catalog titles by spreading shrinking budgets thinly over more records. By the time 101 Dalmatians was produced for records, the days of fully orchestrated, in-house-produced Sleeping Beauty records were past. The modest sound of small combos, happy harpsichords and even cool jazz became the house style. Most story albums contained little or no music beyond what accompanied the songs. Even sound effects were sparse. But just as 101 Dalmatians the film benefitted from the modern Xerox process and a fresh, jaunty attitude, so did the story record. 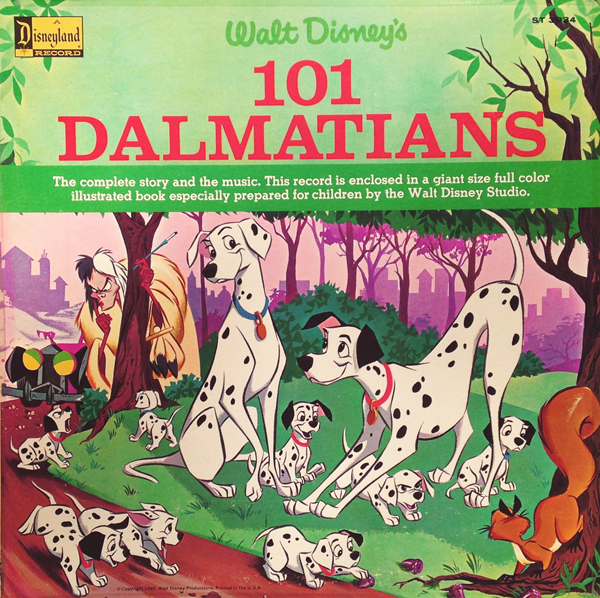 Even though the LP offers no original soundtrack material (that would not happen until the CD release in 1998), the story album of 101 Dalmatians is a pleasure nonetheless. The rest of the cast either approximates a voice from the film or recreates roles they played in the film. Fortunately for listeners, the spectacular Betty Lou Gerson recreates her landmark role as Cruella De Vil. (On all Disneyland Records, her last name is spelled “De Ville” and “Hell Hall” is called “Old Hall”.) Gerson puts no less verve and élan into her vinyl performance than she did in her animated one. She also voices Nanny Cook (instead of Martha Wentworth from the film). Also from the movie cast is J. Pat O’Malley in his Colonel and Jasper roles, also substituting for Ramsay Hall as the Labrador. For the recording, Dal McKennon (another Disneyland Records regular) plays Sgt. Tibs (originally David Frankham) and the Collie (in place of Tom Conway). The only voices that cannot be verified at this writing are that of Horace (though it sounds a lot like O’Malley) and, even more perplexing, Pongo. His vinyl voice is so familiar, yet difficult to pin down. Could it be Jack Cassidy, using a vocal approach similar to his take on Bob Cratchit in Mister Magoo’s Christmas Carol? Few Disney story records of this period included cast credits. One has to piece the voice actors’ identities together from hearing them on other records from the same label or time period. All four songs produced for this album are historically significant. “Playful Melody” is George Bruns’ background theme with lyrics; the “Cruella De Ville” song has a twangy pop twist on the bluesy number; and “Kanine Krunchies Kommercial” is presented as a radio spot rather than a commercial jingle (as a 7-year-old hearing this spoof for the first time in a school library, this author practically laughed himself out of his chair at the wry comic accuracy of the musical arrangement and the relentlessly perky vocal by Teri York). 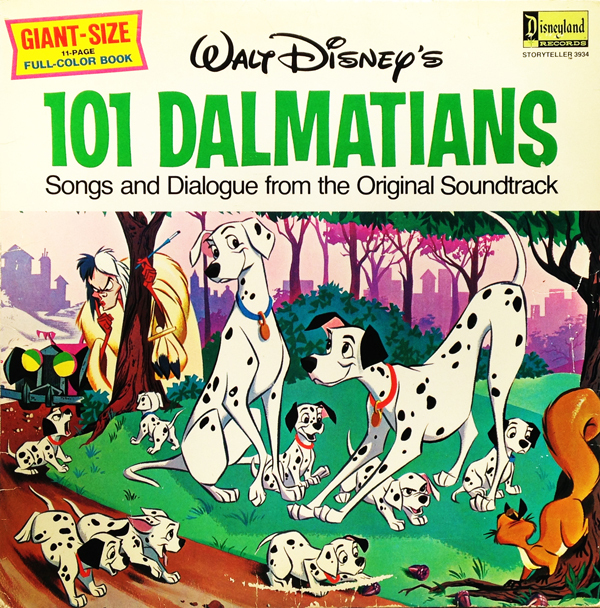 Most interesting is Mel Leven’s original—and completely different—version of “Dalmatian Plantation,” a song totally rewritten for the final film to feature a proliferation of “-tion” words. The movie version was unavailable on recordings until Randy Thornton produced the 1998 CD soundtrack. Enjoy a short sampling of Cruella, Nanny, Rolly, Pongo, Teri York and the Mellomen from the album. The skid and crash sound effect was a staple of film, records and TV in the ‘60s and ‘70s. One of the album’s few shortcomings was the overuse of the same skid sound every time Cruella drove into the scene. Released in 1965. Executive Producer: Jimmy Johnson. Producer/Musical Director: Camarata. Running Time: 8 minutes. Voices: Robie Lester (Disneyland Story Reader); The Mellomen: Bill Lee, Max Smith, Bob Stevens and Thurl Ravenscroft; Studio Chorus. Songs: “Cruella De Ville” by Mel Leven; “One Hundred and One Dalmatians” by Richard M. Sherman and Robert B. Sherman. This is one of the earliest Disneyland book and record read-alongs ever created by the studio. Many other labels had already introduced books with records—some in which kids followed numbered pictures (such as on Capitol Records) and a burgeoning catalog of 78 and 45 rpm sets from Golden Records. Virtually all labels with children’s titles offered books with recordings. Disneyland had a very specific format for read-alongs from 1965 to 1977. Singer/actress Robie Lester read the lion’s share, replaced by British singer/actress Lois Lane (she actually changed her name to that). Side one (and sometimes part of side two) offered the reading with a “Tinker Bell” chime signal to turn the page. Side two contained one or two songs either from the film or related to the story. Only one Lester title had background music from beginning to end: Peter and the Wolf. Youngsters who eagerly played this particular Disney read-along were startled to find that it did not match the movie story at all. It was instead a reprint of the Little Golden Book, “Lucky Puppy”. The early Disney read-along titles leaned heavily on Golden Book reprints, and they were limited to an “offshoot” story based on the film. Some might have been disappointed, but it’s actually a fine little tale that calls out the puppies’ names and foreshadows the basic storyline of the 2003 direct-to-video animated feature, Patch’s London Adventure. The cool thing about some of these early read-alongs is that they contained songs either exclusive to the series or hard to find elsewhere. 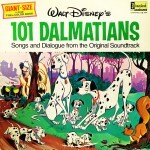 One of the latter is “One Hundred and One Dalmatians”, which appeared on 1961’s Dog Songs album. Dog Songs was out of print for most of the label’s history (it popped up briefly in the “Disneyland Double Feature” two-record series). In 1977, Producer Jymn Magon changed the read-along format to include a cast, sound effects and background music, starting with The Rescuers. Each previous classic title was revised and eventually the “no music” titles dwindled out. The Sherman brothers wrote a title song for the 1961 film that would have marked the first time one of their tunes was used in an animated feature. However, an instrumental of “Playful Melody” is heard over most of the titles. One of the bemused observations about 101 Dalmatians is that it isn’t a musical, even though Roger Radcliffe is a songwriter. No one sings except when Roger plays piano, otherwise the songs occur organically—a major departure for pre-1960’s Disney animated features. “Playful Melody” is a theme that you can’t forget, and it was a thrill to hear the lyrics a few years ago. I like that title song that the Sherman brothers wrote. 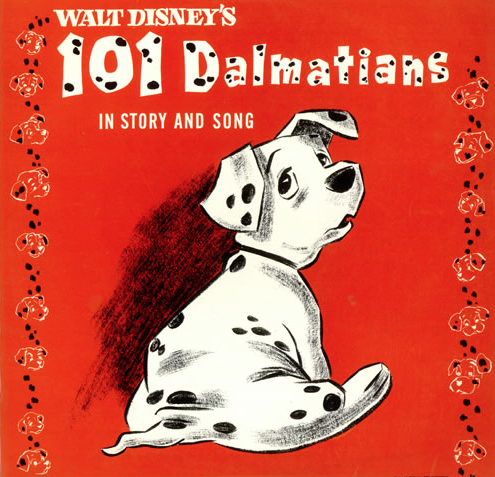 When I was little, I had a read-along tape of “101 Dalmatians.” At the end of the tape, they played the versions of “Dalmatian Plantation” and “Cruella De Vil” from the storyteller LP. I also have the 1998 CD soundtrack which I highly recommend. The record version replaces this with an in-house Disney gag. Instead of “What’s My Crime?” Horace and Jasper are tuned into “Zorro.” (The version used of the Zorro theme is the one made for records rather than the actual TV soundtrack.) Only part of the theme song is heard, but it is enough to drive home the point that the Baduns are enjoying Zorro on TV–ironic when you consider their profession. I believe the release of this record coincides with reruns of Zorro being broadcast at roughly the same time…a bit of cross-promotion for Disney as well as a clever gag for the record. Even though the budget for Disney records was getting smaller, this one with its relatively large recording cast and its use of music as well as sound effects qualifies as a pretty impressive effort. 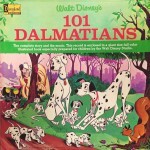 As a kid, I was OK with the Lucky Puppy story on the Read-a-long, even though the title said “101 Dalmatians”. It’s better suited to a short-playing record. The movie story would have been a bit cumbersome to try to fit into that format. Many of the Read-a-longs rushed the story so much that the drama was barely there. 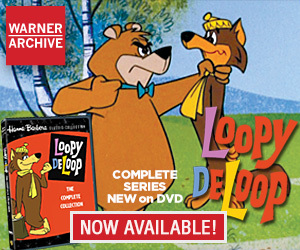 This little story worked very well, and Robie Lester’s voice was perfect for telling it. Betty Lou Gerson and (from elsewhere) Eleanor Audley sounded very similar in voice and in temper as classic Disney bit— err, witches. 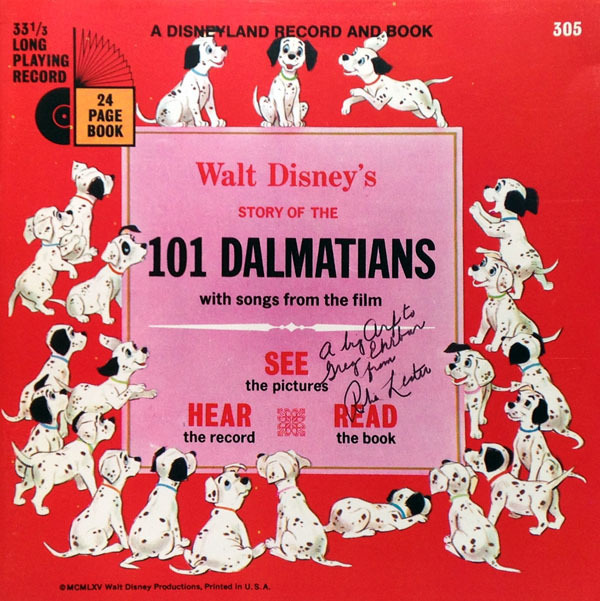 That read-a-long version of the song “101 Dalmatians” (sic) was also released as a Buena Vista single (F-801), credited to “The K-Nine”. Flip side is a men’s chorus singing “Cruella De Vil”. It’s a cute song, and clearly of interest to Disney and Sherman Brothers fans, but it never ceases to amaze me how relentlessly out-of-touch the purple-Disneyland/Buena Vista singles catalog was throughout its entire history. Other than a handful of the Annette records, the overwhelming majority of their releases – right into the 1970s – are hopelessly stuck in the styles and arrangements of white pop music circa 1953. It’s like no one at Disney even owned a radio. Low budget, eh? Makes me think of the ROBIN HOOD story record. No sound effects, and just one voice (supposedly the rabbit skippy) narrating the entire story and singing all the songs. ALONE. Not much music during the songs, either. I remember the album being rather dull in all. I remember a different version of “Cruella DeVille” than any I could find on YouTube or could sample on Amazon. And your post solved the riddle. It’s the version off this album I’m remembering (I had the LP as a kid.) I may have to buy a copy on eBay just to hear that version again! Hi, im from England and i have the cassette version of the album of 101 Dalmations. Been reading your text about the album and i thought, even when i was a kid, that some of the characters sounded the same from the film. Just played your clip of the ending from the album and i noticed straight away a difference from your album to mine. Its the character of Rolly. The character on your clip sounds american but on my version she sounds english, but the other characters sound the same, so it seems they just took off GinnyTylers voice and replaced it with anouther actor but she sounds more female than male. But thank you again for this and have been looking on youtube for this album but your clip is the only one i can find from it.